There’s only one way to describe how we are all feeling right now… INCDREDIBLY PROUD!! 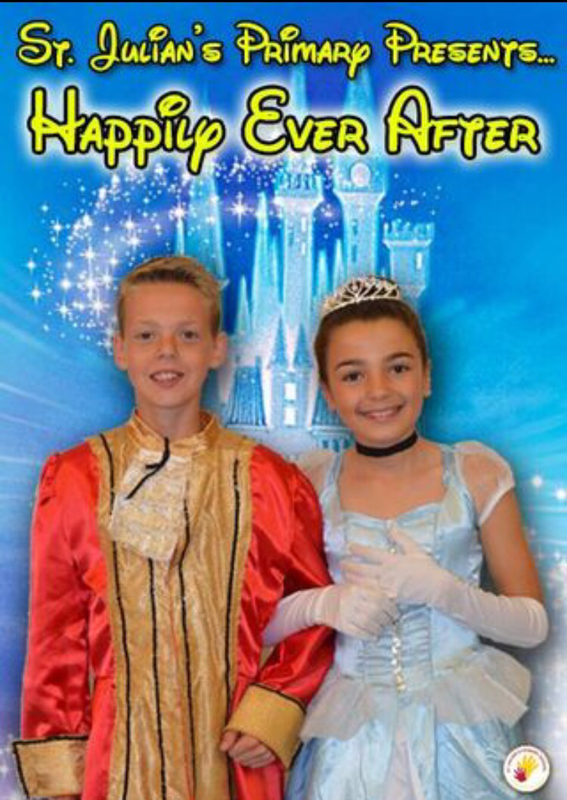 Tonight was the fifth and final performance of our Y5&6 summer production, ‘Happily Ever After’. 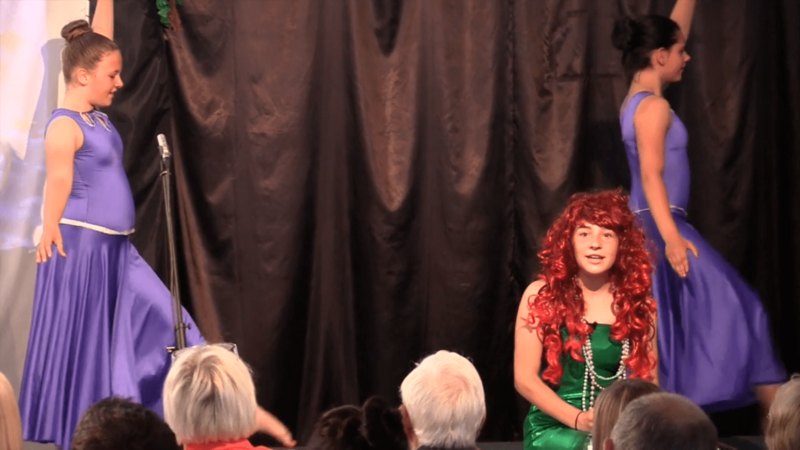 In past years, we’ve performed shows such as: ‘Aladdin’, ‘Joseph and His Amazing Technicolour Dreamcoat’, ‘The Wizard of Oz’, ‘Chitty Chitty Bang Bang’ and ‘Oliver’ to name a few, but this year, we decided to try something a little different. 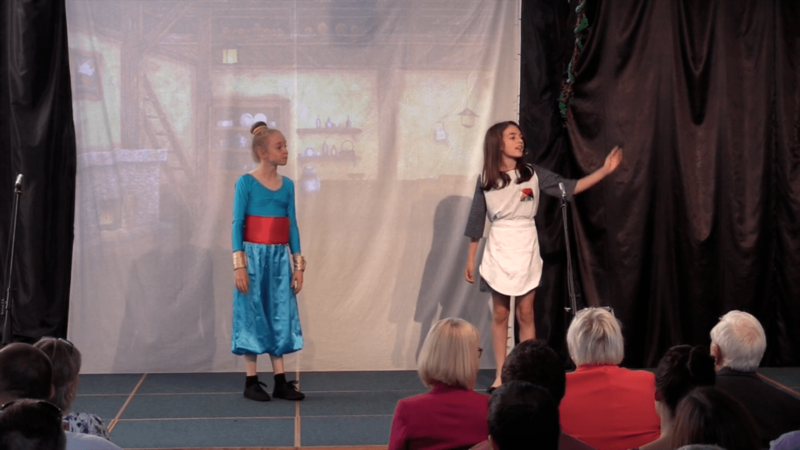 In order to give more children a ‘main part’, we decided to write our own Disney extravaganza, including a number of different Disney stories all amalgamated into one show! It was a tall challenge to do it in a way that didn’t ruin any of the classic stories, but we’re always up for a challenge, so Mrs Cooke, Mrs Orford and I set to work on writing the script. We spent several evenings at each other’s houses until we had a script that we were happy with. We then met all the Y6s in the hall to explain the plot to them. Basically, it was the story of Cinderella, with a number of other Disney characters all going to the ball. Scene 1 starts with the Ugly Step sisters receiving text messages from Tarzan and Aladdin, telling them how beautiful they are. Their mother is so proud of them for finally finding boyfriends. Then the king’s messenger arrives and tells them of a Summer Ball taking place at the Celtic Manor Palace, and how the Prince wishes to find a Princess. The Ugly sisters and mother argue over who he will pick, when Cinderella arrives on stage. She asks what all the fuss is about and they tell her she doesn’t need to know, because she’s just a ‘scruffy little cleaning girl’. They leave her to go and find their dresses for the big event and Cinderella sings ‘Reflection’ from ‘Mulan’. After her song, Genie, from Aladdin, appears and apologises that Mr Rees couldn’t afford a Fairy Godmother costume, so a Genie will have to do. Genie tells Cinderella he will help her finish her chores and get her to the ball. The genie enlists the help of the Seven Dwarfs and Snow White, who come to help tidy up. Cinderella gets to go to the ball and Snow White joins her, although the Dwarfs aren’t happy with her staying out late. Meanwhile, Ariel (from the Little Mermaid) and Rapunzel are complaining about not being able to go to the ball. Ariel has no legs to dance and Rapunzel is locked in a tower. Genie appears again and gives Ariel legs and gets Rapunzel down from the tower. They can now also go to the Summertime Ball at the Celtic Manor Palace. The Beast (from Beauty and the Beast) jumps onto stage and scares everyone. Gaston threatens to kill the beast, but Belle arrives and warns them all off. Gaston is annoyed because Belle wont go to the ball with him; she wants to go with the Beast. In the next scene, Pocahontas starts singing ‘Colours of the Wind’. Olaf hears the song and comes to ask Pocahontas if there is wind during the Summer. Olaf sings his song ‘In Summer’, before talking to Pocahontas about the Summertime Ball. Elsa arrives on stage having not been invited to the Summertime Ball. She is angry and vows to ruin the ball by turning everything to ice. On the night of the Summertime Ball, everyone arrives and they sing ‘Be Our Guest’. The Prince dances with all the princesses. As the Prince is getting to know Cinderella, Elsa arrives and ‘kicks off’. She starts turning everything to Ice until her sister, Anna arrives and asks if she wants to go and ‘build a snowman’. The clock strikes midnight and Cinderella has to rush home. The Prince tries to find who the slipper fits and goes around the houses of all the Princesses, although he’s a little nervous because he’s never been outside the palace walls before. He eventually finds Cinderella and they all live… ‘Happily Ever After’. The show was full of cheesy jokes and puns, but it worked and everyone loved it! There have been many times over the past couple of weeks where we have wondered whether we should have just repeated one of our previous shows. 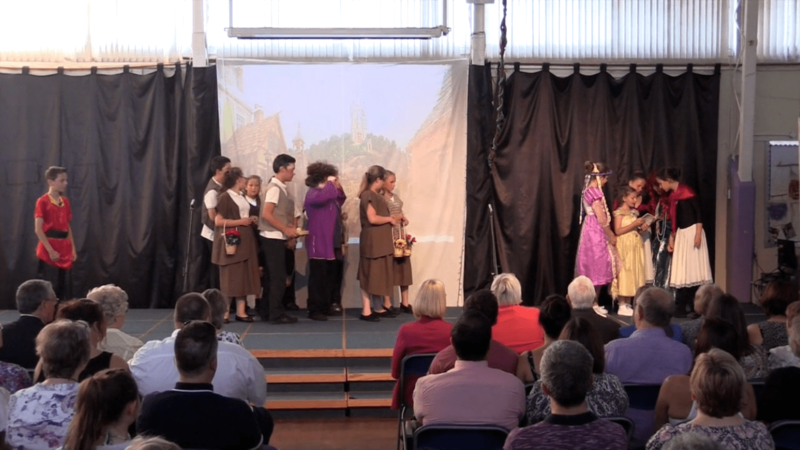 At times, its looked as though everything was going to fall apart, with children forgetting their lines, me playing wrong notes on the piano and Mrs Cooke getting stressed… but as it does every year, it all eventually came together and was absolutely superb. 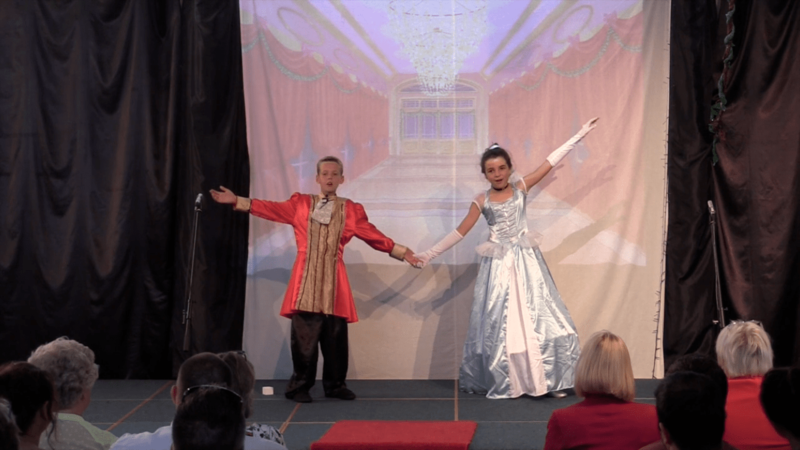 Our wonderfully talented children were absolutely brilliant, amazing and fantastic! They acted, sang, and danced with all their energy (despite being tired after the weekend away at Llangrannog). We are so so so proud of every single one of them who stood on stage this evening. 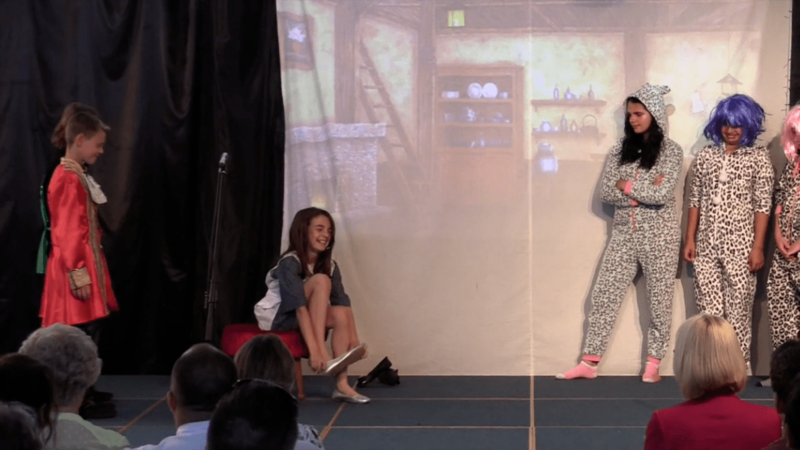 There were lots of tears in the audience as parents gazed at their little stars stood on stage. They even gave a standing ovation!